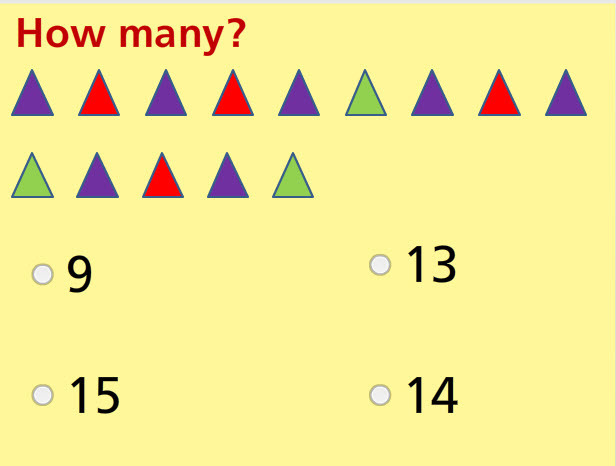 Take this bright and interesting math test to check how well you can count to 20. This test has a variety of multiple choice questions. There are also some drag-and-drop questions as well. The activities are colorful and fun. Give it a try. Return from this Count to 20 Math Test to the Elementary Math Tests , Kindergarten Math Tests webpage, or to Math Tests.